Jetty Home art is light and fresh, with elements inspired by nature, especially the coast and ocean. Creator Emily Wood works with watercolors and pigments due to their subtle and fluid nature - adding a little bit of whimsy to all of her designs. From the time Emily was a child, she would spend hours and hours drawing and creating her own world through her artwork. She followed her passion and attended Fashion Institute of Technology in New York, studying Fine Arts and, later, International Trade and Marketing. In 2014, Emily took a leap and decided to start Jetty Home after scribbling some designs in a sketchbook. The peace and sense of community that comes with beach living has been her biggest inspiration to start a design brand. Emily tries to evoke the feeling that the beach and ocean provide – a sense of relaxation, calmness, happiness and simplicity – in all of the art offered through Jetty Home. Emily tends to focus her art on simple, yet classic, hand painted watercolor and acrylic designs. Her painterly style lends itself well to print reproductions, as strong brushstrokes and pronounced colors are evident in many of her pieces. More recently, Emily added some new hand lettering techniques to her artwork – incorporating more typography into many of her designs. 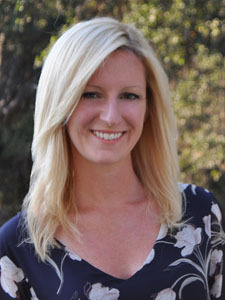 Emily currently resides in Southern California with her husband and dog. Learn more about Emily’s artistic process at www.jettyhome.com or check out her Instagram.